The unrivaled riches of Down Under are like no others on Earth. From Sydney’s glittering skyline to the underwater jewels of the Great Barrier Reef and the stark beauty of Uluru and Alice Springs, Australia must be seen to be believed. Do you know of a classmate or another Swarthmore alumnus/a who goes above and beyond the call of duty in his or her volunteer work? Honor them through a nomination for the Arabella Carter Award. Consider taking a Lifelong Learning course this spring. 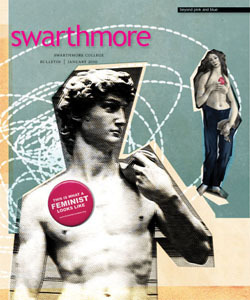 All courses are taught seminar style by Swarthmore faculty members. Boston: Thanks to David Wright ’69, members of the Boston Connection were treated to a factory tour of Taza Chocolate in Somerville, Mass. True to Wonka style, the direct-trade, bean-to-bar factory allows tours only two days a year.